Sierra Jar Display - Cal-Mil Plastic Products Inc. Display your condiments in trending reclaimed wood jar display! 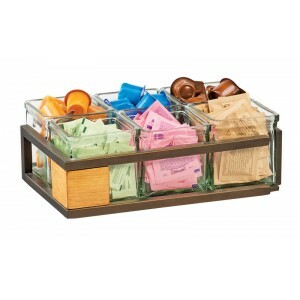 This display holds 6 4x4 glass jars that are perfect for organizing sugar or cream packets, and are even food safe for bar condiments.